These big days of racing always seem to produce big-time prices. 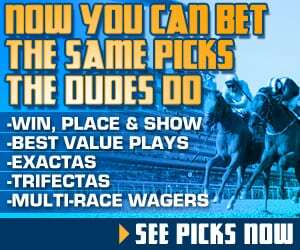 Let’s look at five longshots on Saturday’s Gulfstream Park card that are at least 12/1 on the morning line and have a shot in both the single- and multi-race wagers! Let’s kick the day off with a number! Traveling showed nice improvement adding blinkers off of the layoff last time out when he got to the lead and fought before being put away. 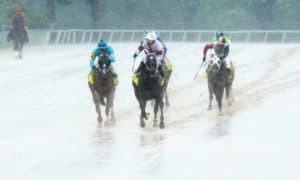 That race was carded to be on the turf before getting rained off. I love the fact that despite the improvement on dirt, the connects send this one right back to the lawn. 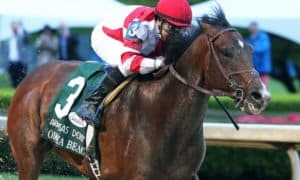 Trainer Cherie DeVaux is Chad Brown’s former assistant who recently went out on her own, so she knows what she is doing on the grass, and Joel Rosario takes the call. 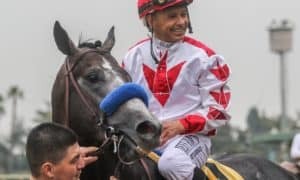 He should make the lead again without having to go 22 and 4/5 seconds, and I expect him to take another big step forward while moving back to the grass and wearing blinkers for the second time. 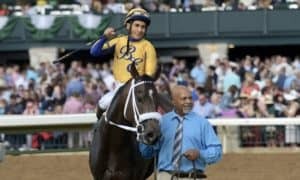 Several horses in this race have better running lines than Wildcat’s Legacy, but as far as the company faced, very few can compare. This will be the lowest level ($12k state-bred optional claiming) of his short career after facing stakes company since breaking his maiden five starts back. He was in way over his head in his first start for the Pletcher barn when facing a loaded World of Trouble last out. He’s now entered at a reasonable level, adds blinkers, and picks up top local rider Luis Saez. Additionally, we can project added improvement in his second start after a long layoff. It’s an added plus that his lone win and highest career Beyer were both over the Gulfstream main track. I’m not sure that Singandcryindubai can beat the World of Trouble/Stormy Liberal combination if they both come with their A-game, but there is no reason that this one cannot take a big step forward. 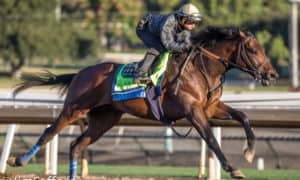 Singandcryindubai ran some very big races as a 4-year-old last year, including his top two career Beyers (97 and 94) while sprinting on turf. 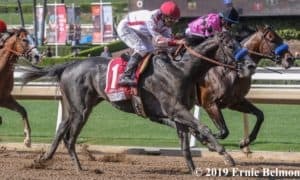 With a move to the Jorge Navarro barn, expect a fast jump up, which makes this horse one of the three runners with the ability to break 100 here. He will have a hot pace to run into and a little extra late kick because he has been running longer and should be fit. Jose Ortiz jumps aboard which is plus, and I expect a rail trip right behind World of Trouble. I was SHOCKED when I saw this morning line. 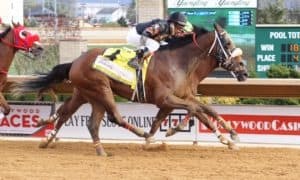 We only saw Hunter O’Riley once in all of 2018, a disappointing ninth in the Grade 2 Dixiana Elkhorn Stakes. While that probably helps his price, everything else fits. The distance won’t be an issue and the pace should be hot enough for him to close. The Beyers from his 2017 Saratoga campaign are the highest and second-highest IN THE ENTIRE FIELD, so if he can get back to those races, then he’s a lock to hit the board. 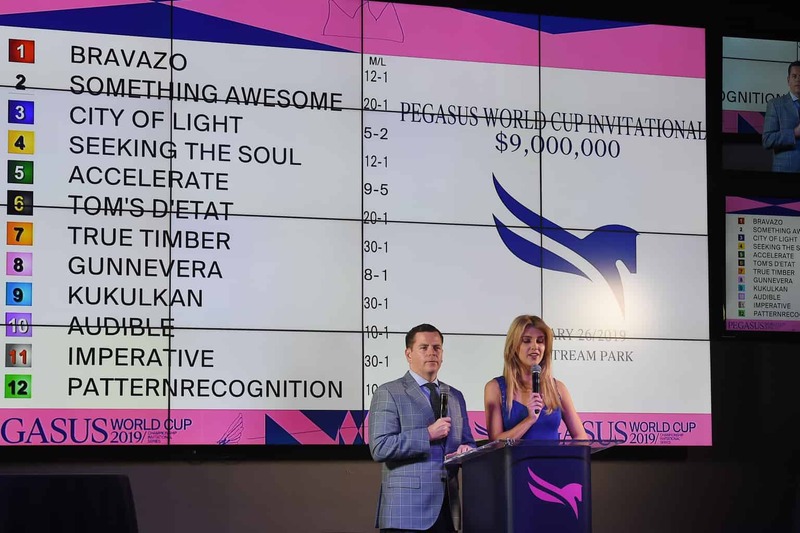 It’s also very interesting that the connections choose to geld this horse at age 6. He’s won a Grade 2 and was a length off of a Grade 1, so there would have been some value as a stud. Generally, horses take a step forward after being gelded, which makes him even more dangerous. To cap it off, Flavien Prat decided to jump aboard, which means that he’s got the best jockey in the race. Man, sign me up at 12/1 right now. I doubt that we will get that price when they break from the post, but we can dream. Throw out Channel Maker’s last race; he simply didn’t show up against some of the world’s best turf horses. His three prior efforts were all winning ones, especially the dominant 108 that he ran two back in the Grade 1 Joe Hirsch Turf Classic at Belmont. 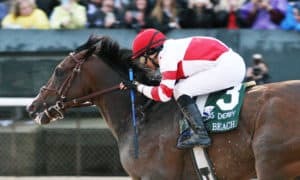 He consistently improved through his 4-year-old season and should have no issues firing first off of the layoff here, plus the race should set up perfectly for him. If Fahan Mara and Dubby Dubbie burn hard up front, Channel Maker should get first run at the pair and be very difficult to pass down the lane. Add #8 Delta Prince into the mix here as well. Chuck his last race since it was on dirt while wearing blinkers. The added distance here is the biggest concern, but if he can handle it, then 15/1 is a gift on this Grade 2 winner who has never gone off over 4/1 in his career. 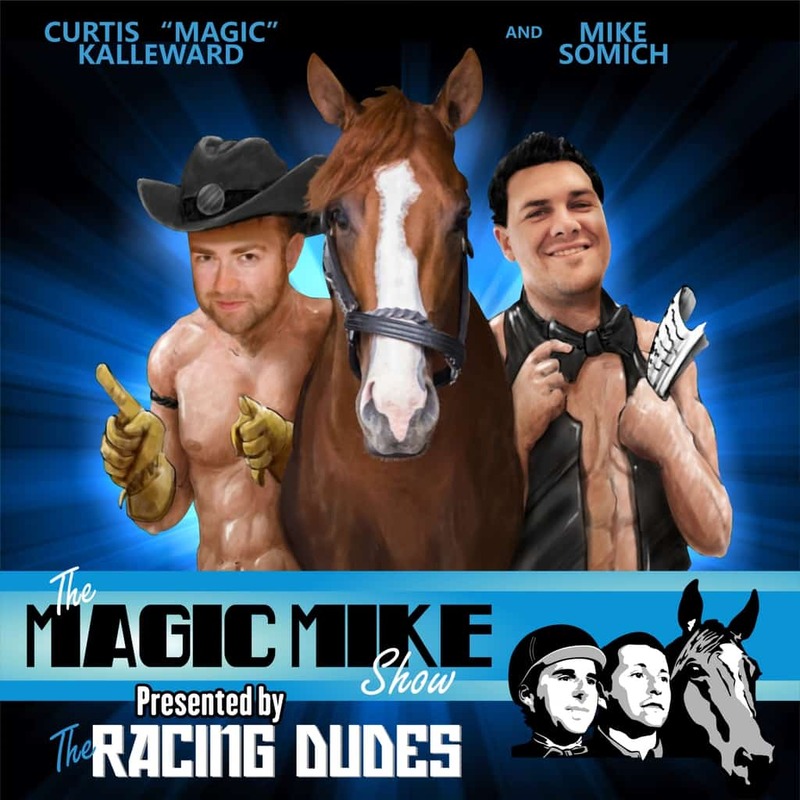 Don’t forget to check out the latest episode of The Magic Mike Show for horses to watch in each of Saturday’s stakes races and good luck on Pegasus Day!